Campylobacter infections cause more cases of diarrhoea (Campylobacteriosis) in humans than Salmonella. The cost of Campylobacteriosis to public health systems and to lost productivity in the EU is estimated by EFSA to be around €2.4 billion a year. 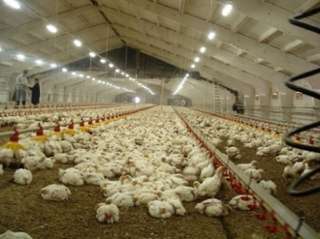 If you are familiar with the area, you’ll know that about 80% of Campylobacteriosis is caused by infected poultry. Raw poultry meat is often contaminated with Campylobacter, and eating undercooked chicken, or ready-to-eat foods that have been in contact with raw chicken, is the most common source of infection. There are many Campylobacter species but Campylobacter jejuni and Campylobacter coli are the principal cause of human gastroenteritis worldwide. These two strains are better suited to colonising poultry hosts than other Campylobacters. Prevention of Campylobacter infection is based on control measures at all stages of the food chain, from agricultural production on a farm, to processing, manufacturing and preparation of foods, both commercially and domestically. So How Do You Test for Campylobacter? 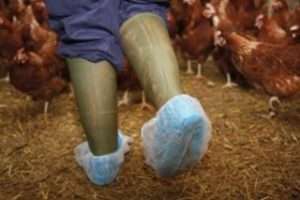 OptiGene has developed a method of processing boot swabs to detect Campylobacter that is very fast, simple to perform and suitable for operation on-farm or at a meat processing plant. 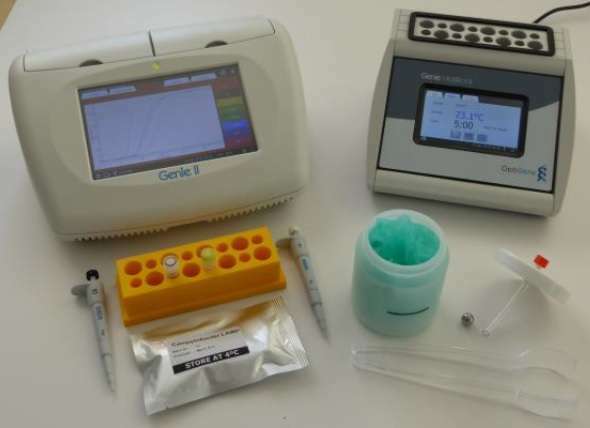 This method is as sensitive as qPCR, but faster and lower-cost, and is based on portable, easy-to-use equipment. This new system employs single temperature, or isothermal, amplification of DNA using a method known as LAMP. LAMP supports much-simpler sample preparation then qPCR and can be run on less expensive instruments. The test picks up both C.jejuni and C.coli species. This method could also be used with other sample types such as caecal and cloacal swabs or skin tissue. Watch this video (narrated by a robot?) to see the whole thing.